What’s that under your plate? It’s a spider!! 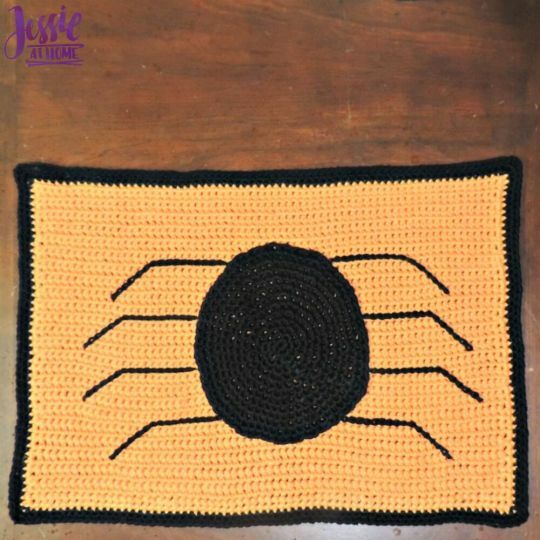 Celebrate Halloween with these quick and easy to make Spider Placemats, a fun a creepy addition to your holiday decorations. I made mine with an orange background, but you can make a whole set with a different color background for each one, as there are plenty of awesome colors of Lion Brand 24/7 yarn.